Lightning Shroud: Guild Ball: Brewers Cup - Falconers sighted! 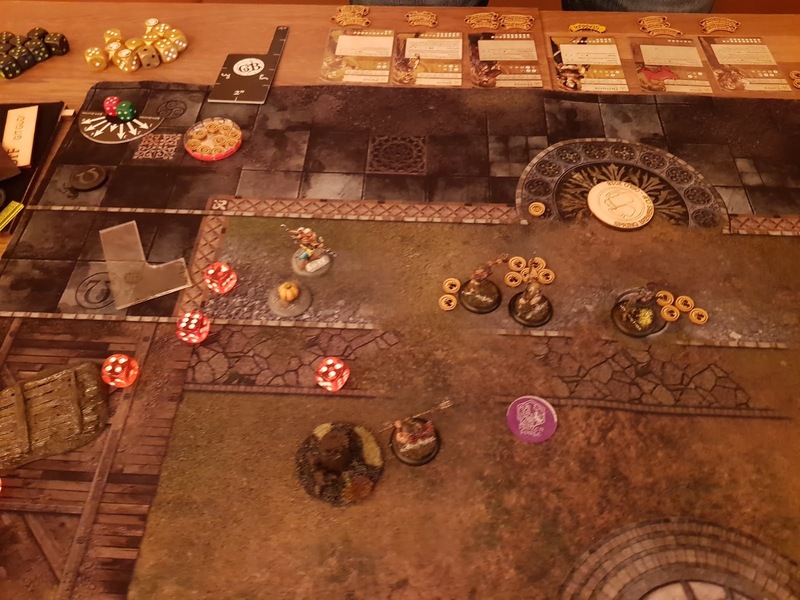 Guild Ball: Brewers Cup - Falconers sighted! We had a double event this weekend. 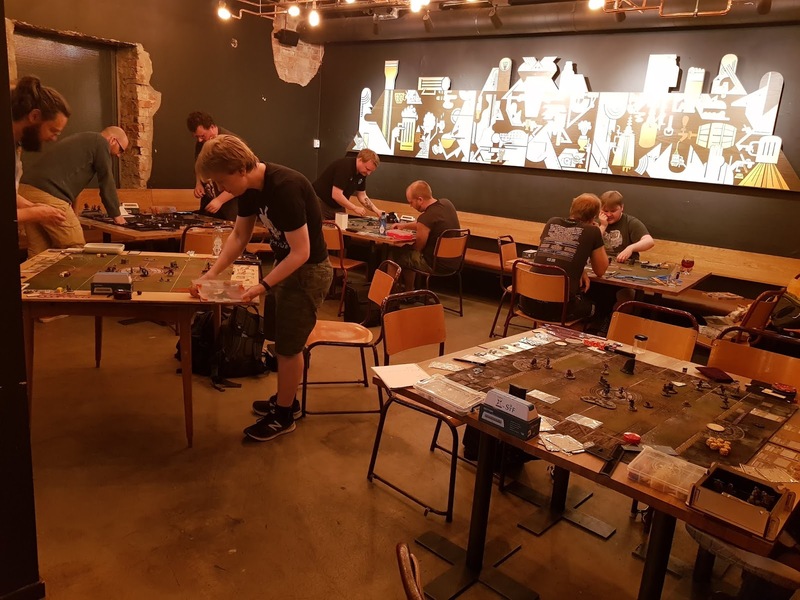 Steve Margetson, who works as a game designer at Steamforged Games, was invited by our excellent LFGS Outland to give a talk. 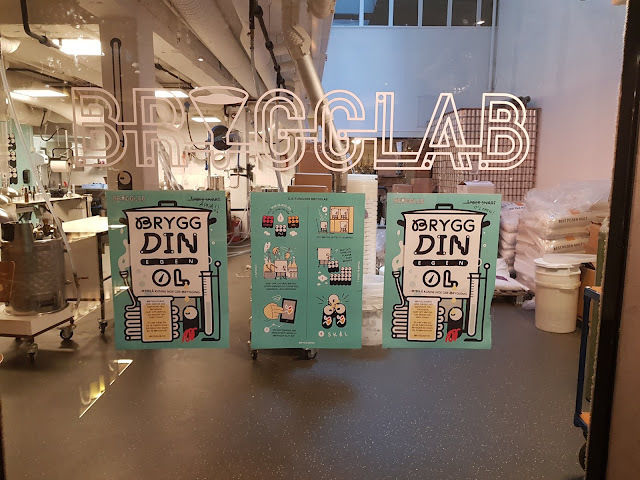 Also, he would join us Norwegians on Sunday for the Brewer's Cup hosted at Brygg. 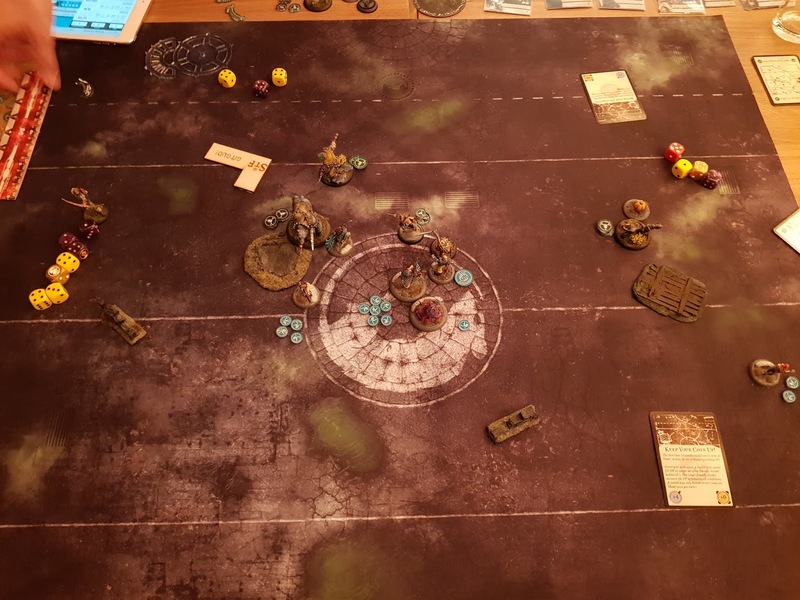 Our first international Guild Ball visitor ever, I think. Also, he brought Falconers, making this the first ever tournament for that guild. I had met him once before at BonesCon, nice to see him again, such a nice guy! I brought my now pretty much fixed Fishermen lineup to the tournament. I had spent some time looking at Falconers in case I was lucky to get a game. Corsair seems like the better pick, Falconers are fragile, and Corsair and Jac can tank better than the Shark lineup. Pub opens, I go for one of my summertime favorites, Kronenbourg 1664 Blanc, game on! Gaspard has been away for a couple of months, nice to see him back! I don't like Shark into Hunters, so it's going to be Corsair. I pick Angel for the first turn goal threat. He picks all the damage dealers including the new Veteran Minx. Jac gets scrum control duty. 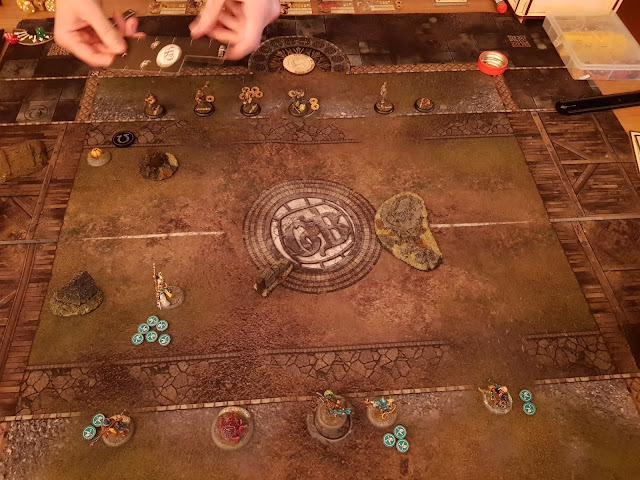 First round, Hag grabs the ball and passes it to Angel. Corsair pulls in Theron and he and Gutter get him down to 5 health. Angel scores as the last activation, and moves up to engage the bear. I had forgotten about the automatic 2" push so that was not a great idea. Next round, my first activation is to put Angel on 6 defense, to make the Hunters spend as much influence as possible on her. She has already scored so she is not so important now. Gutter takes out Theron, then Shark waddles up and starts beating on Zarola. I lose Angel. Jac resets the scrum, moving out Hearne and the Bear and leaving Minx and Zarola engaged. Corsair takes out Zarola and Minx, and then everyone piles up on Hearne after Hag pulls him into the crowdout. Hearne goes down. Fishermen win 12-2. I think having more control maybe makes for a better Hunters lineup than going pure beater like this list. Corsair is not happy with Tapper and all the Tough Hide, and Esters ignores a drag and has good control. So I drop Shark, even if I am not receiving. Next beer on tap: Brooklyn Lager. Shark kicks, Hooper grabs the ball, passes it to Spigot, Shark does Shark things, goal! A good start. Since I saw a goal run I went for it immediately, even if it meant Shark would almost certainly die. Shark survives the first round, for some reason. Friday is holding the ball but I can get to her with Greyscales, so Fredrik is forced to use Friday to take out Shark. Sakana gets the ball and kicks it away so that Siren can get it. Decimate pushes Sakana off the table. Score is 4-4. 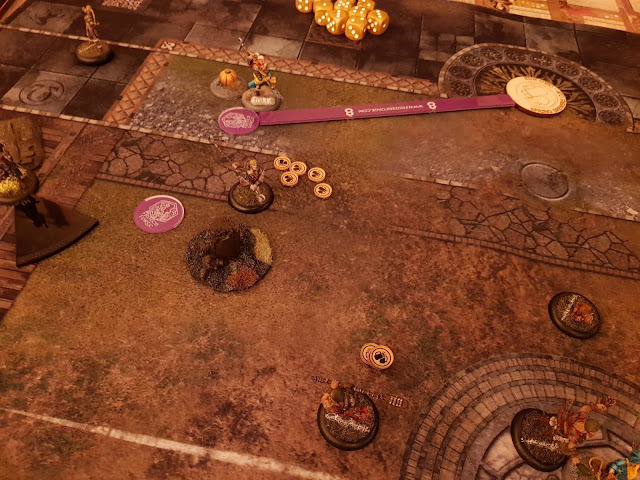 Fredrik was really nice to give me a takeback after I head miscalculated the dice when Sakana was trying to get the ball - I thought I did not get a critical dodge, but I had forgotten Anatomical Precision for some reason. Maybe the beer was getting to me. Great sport! 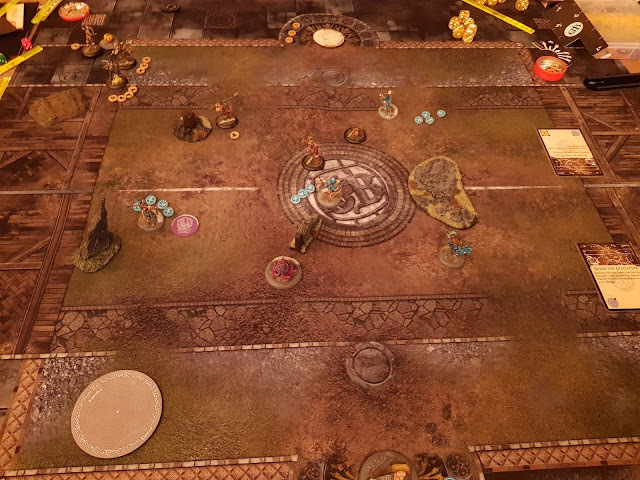 The ball is passed around the pitch until it ends up with Greyscales, who scores. 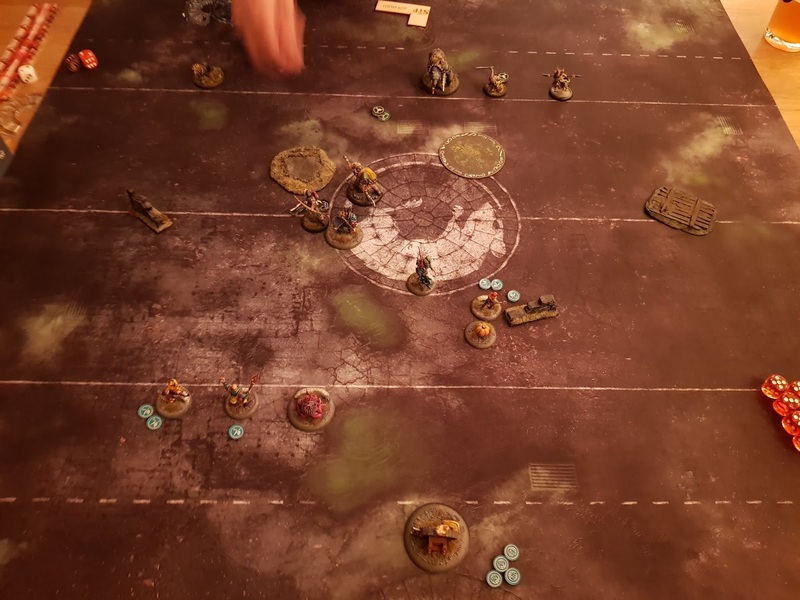 Shark is then able to zoom up the pitch and get hold of the ball again, making it 12-4. Finally, I got revenge! I am pretty sure the last time I beat Fredrik was last year, I think he had at least 5 straight wins against me. We had a discussion about the game afterwards. We agreed his main mistake was not using Friday to kill the ball. 5/1 is tricky to deal with for Fishermen, since my tackles are at 2. 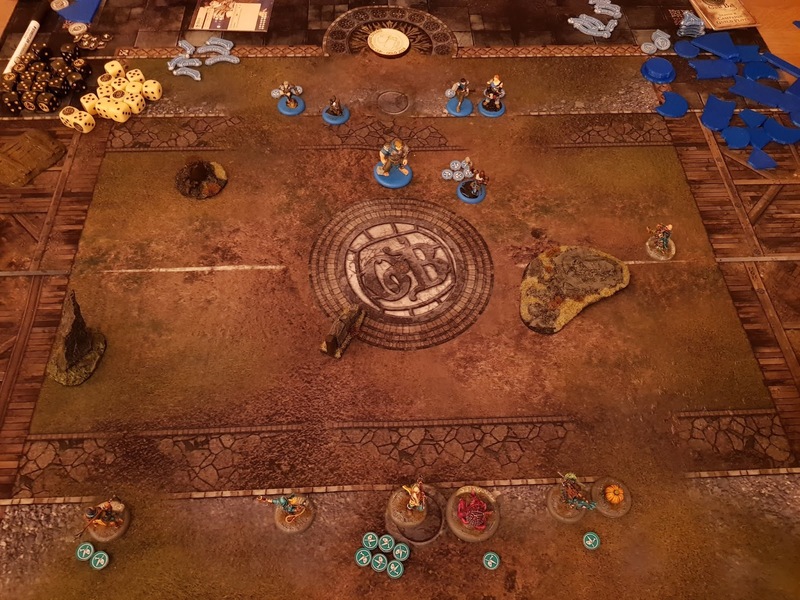 The worst option is Greyscales with a 21% per attack to get the ball. Shark has 32%. My best bet is Sakana, with 53% due to Anatomical Precision. Siren only gets one shot with her Seduction, however it has a 70% chance to land. If Friday is in cover or I am forced into crowd outs, it gets a lot worse. I think the matchup is playable by either faction. Certainly the threat and flexibility of Veteran Decimate makes it a lot more even than it used to be. Last match I get Gaute playing Masons, and since we are the only two who are 2-0 this will be the last match. This matchup is list chicken. Corsair does not want Hammer, who outfights him, and Shark versus Honour is at best even. At least I am receiving. I drop Shark and get Hammer, which makes me happy. Another Blanc 1664, and off we go! I blind Hammer and Shark lands the first turn goal. I am not able to get away from his threat range, though, so Shark gets boxed in. Round 2, Mallet takes out Shark and Hammer drops Siren, so we are back at 4-4. I get the ball with Sakana and score again. Hammer hammers Sakana into the dirt. Flint receives the ball but is engaged by Shark. He has to run out of my melee to reach the goal. I bonus time the parting blow and get a pretty lucky 5 hits (25% chance). This allows me to get the ball away from his guys and over to Greyscales. Shark is taken out again, but now Gaute runs out of time. It's probably impossible for him to get 2 takeouts in time, but I do my goal run anyway since he cannot really get hold of the ball even if I miss. The final score is 12-8 to the Fishermen. Victory! Well, that went well! Both Fredrik and I were checking Longshanks in the bar afterwards. Damn it, but he is still ahead of me! And Steve is now the #1 Falconer in the world! 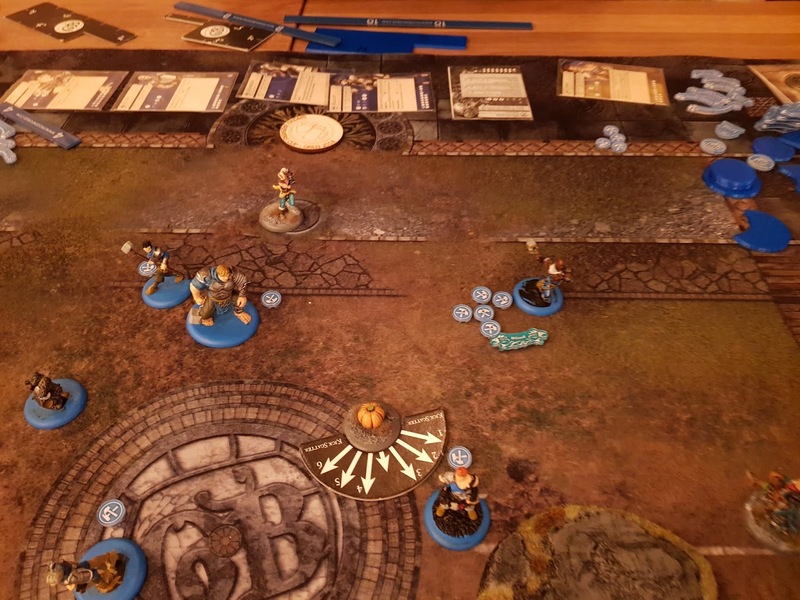 Steve had time for a game afterwards - so I got my Falconers match, which I will post soon!